On Tuesday evening, Cal Poly’s University Police Department deployed 19 officers on campus. UPD spent a total of $15,800 on policing Yiannopoulos’s speech and the simultaneous protests. About 100 protesters demonstrated outside the event. 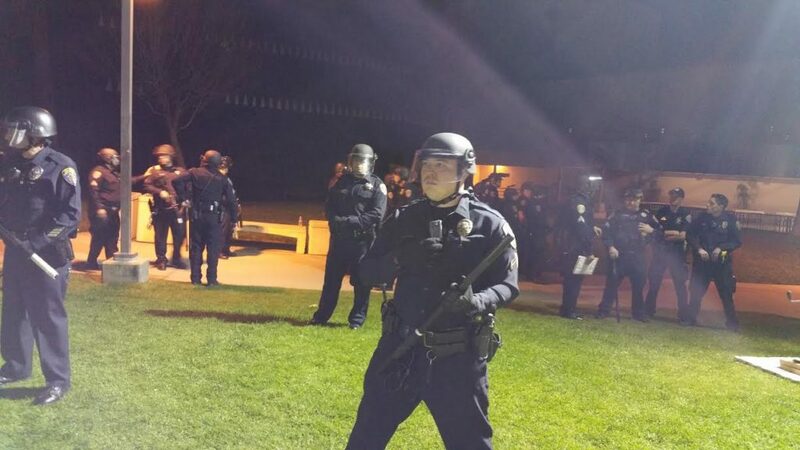 A total of 90 officers from other agencies assisted Cal Poly police Tuesday evening. The participating agencies included local law enforcement and police from other CSU campuses. The San Luis Obispo Police Department sent a total of 16 officers, including SWAT personnel, to the Yiannopoulos event. The California Highway Patrol sent four officers. Expenses accrued by local law enforcement agencies did not factor into the $55,400 price tag due to existing mutual aid deals. The CSU system covered the base pay for officers who came from other campuses to police the event at Cal Poly. That cost the state university system an estimated $39,600. Cal Poly’s UPD paid for the lodging and meals for the officers from other CSU campuses. Cal Poly officials said they decided on instituting extra security measures due to protests and violence that had occurred on other campuses during Yiannopoulos’ tour. Also, social media posts and other information indicated protesters would try to shut down the Cal Poly event. The following night, a riot broke out on the University of California Berkeley campus, resulting in Yiannopoulos’s speech being canceled. The riot also resulted in several injuries and damage to the university campus. Both University of California Berkeley and its police were accused of not doing enough to prevent the riot. Some people have blamed Yiannopoulos for the violence, accusing him of incitement. The women’s (anti trump )march had well over 100 cops mostly on overtime. It was a peaceful event and went well. But then again conservatives don’t really cause problems when liberals have an event. Cal coast news needs to research how much the march costed us also. I would say between 50-75k. They had cops and Chp on standby but they were tucked away so you wouldn’t see them. SLO police chief was just pushing her own political agenda costing tax payers lots of money. Come on Karen. In fairness you need to determine the cost of the march and post it. Some of the Agencies involved. Chp cal poly sheriff agpd Santa Maria Cmc county jail paso pd Atascadero morro bay probation I think I even saw Lompoc pd They had over a dozen motors. Over a dozen bike cops and probably 15-20 under covers in the crowd.